Course Requirements: Previous Certified Eyelash Extension Training. If you are not purchasing a kit you must have your own volume and separator tweezer. Overview of hybrid and mega volume. Introduction: Course objective, scope of training, certification assessment session content. 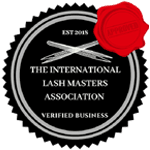 Description of Russian Volume Eyelash extensions: Types of lashes and equipment used and techniques required to achieve Russian volume lashes, how the growth cycle works and how the natural growth cycle affects extensions. Client assessment Practices: Client assessment process, assessing the clients’ eyes and lashes, assess and discuss options, lash shape, determining the lash weight and length, practical client assessment exercise. Russian Volume Application Techniques: Demonstration of 3 different techniques on how to make a Russian volume fan from 2d up to 8d using different weights, curls and lengths to create light, average and extreme Russian volume. Picking up the volume lashes holding the tweezers picking up the lashes, separating the lashes and equipment required. Preparing models eyes for volume lash application. Occupational health and safety, client preparation, workstation preparation, contraindications. Eye infections and conditions. Client preparation and application of a full set of Russian volume lash extensions, correct lash application, eyelash extension removal, and cause of eyelash damage. Volume lashes refills, redefining your lash design, troubleshooting. Marketing, pricing, retail product knowledge, aftercare, frequently asked questions.